Adding passively collected data streams to diet & health apps turbo charges user engagement & app impact. Don't log food. Stream it. Your app depends on data. Your users pretty quickly stop looking up, logging, and tracking the food they consume. Reduce or remove manual logging with streaming data. 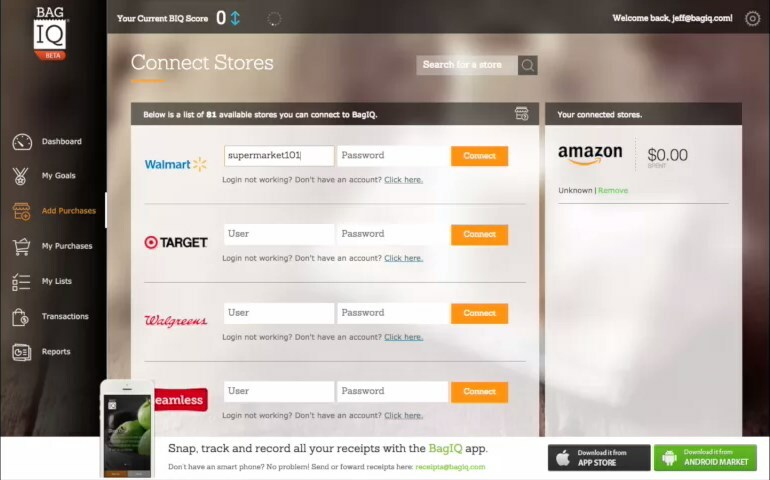 The IM platform enables your users to create live connections to the places they shop. Purchases are instantly & automatically streamed to your app without the user ever lifting a finger. Your app is only as good as it's data. When FitBit applied passive data collection to exercise tracking it launched the wearable revolution. Whe mint.com applied passively collected data to personal finance, it changed how people managed their money. Now it's your turn. Build the future leveraging IM's passively collected item level purchase streams. Clients building next generation food & diet apps. Shopwell uses purchase streams to proactively find healthy alternative products that match your goals. Foodful.ly is using live data streams to reduce food waste. FillMyFork is lowering corporate healthcare costs by creating a nutrient dashboard for each shopping trip.